The cottage was relocated by Museum volunteers from its original site in Lawrence to its present location at the museum. 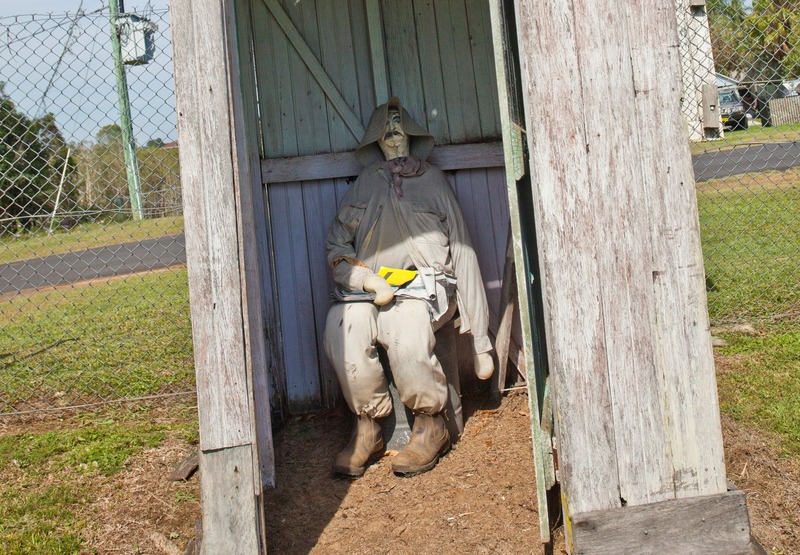 A place to sit and reflect! 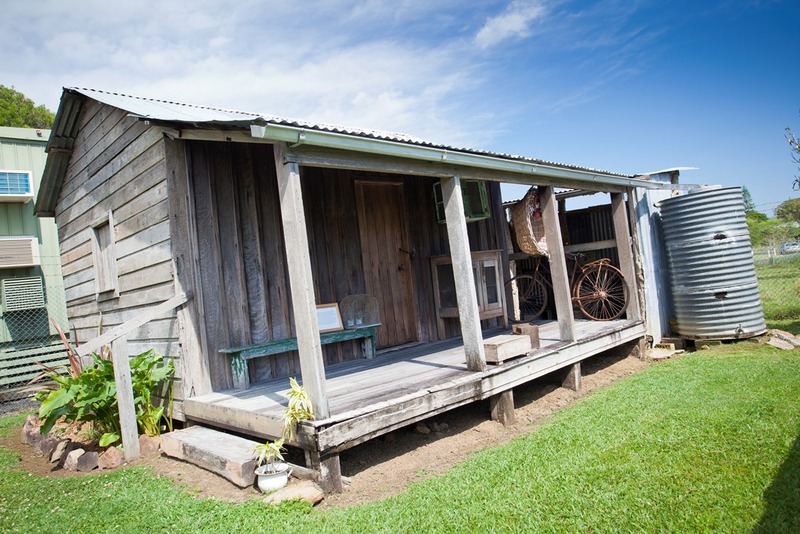 The Blacksmith's shop was constructed by the male volunteers a couple of years ago. 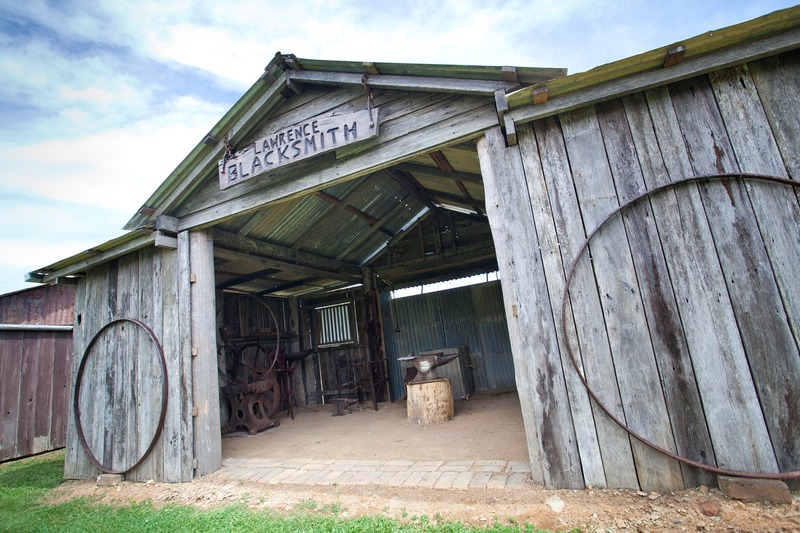 Local Blacksmiths have demonstrated their skills to the public from this shop. A room filled with memories of bygone days and portrait photos of several of the pioneers of Lawrence. 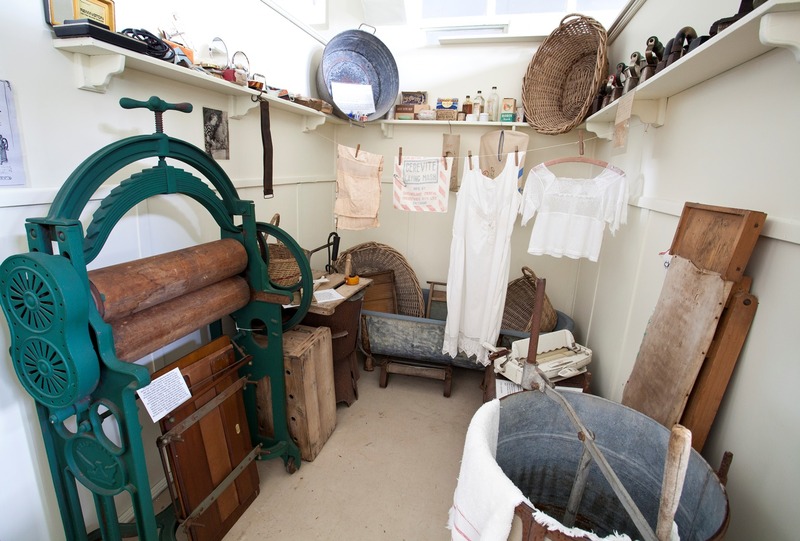 Before life in the laundry became easier. 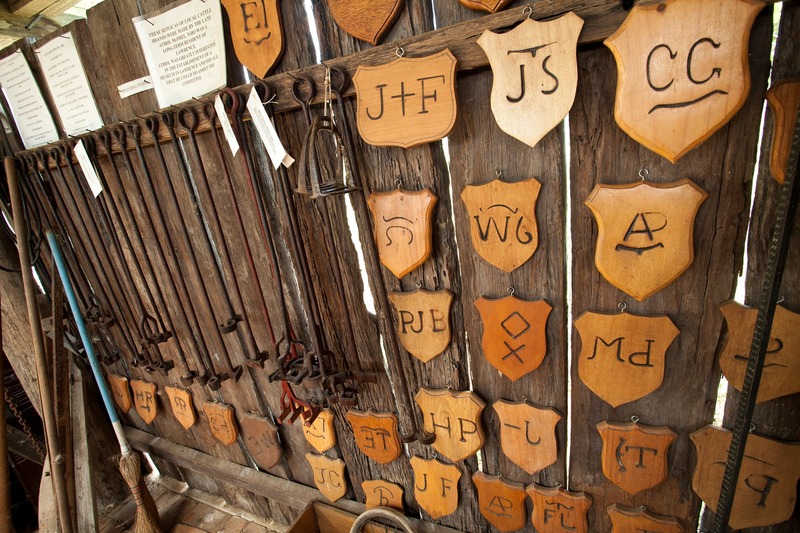 An impressive display of the way to keep track of the farmers' cattle. 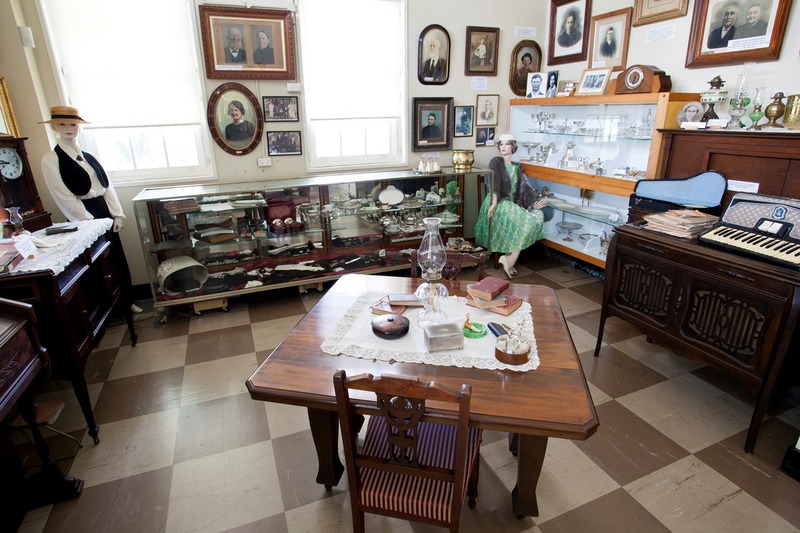 Historic Lawrence Museum–our link to the past … preserved for the future. 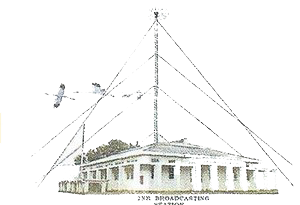 The Lawrence Museum is situated in the former 2NR Broadcasting Station building and lies under the tall radio transmitting mast which has been a landmark in Lawrence since 1936 and sits above the Bluff Point Ferry on the mighty Clarence River. In earlier days, Lawrence rivalled Grafton as the major centre of the Clarence River, with numerous wharves to cope with the busy river traffic. 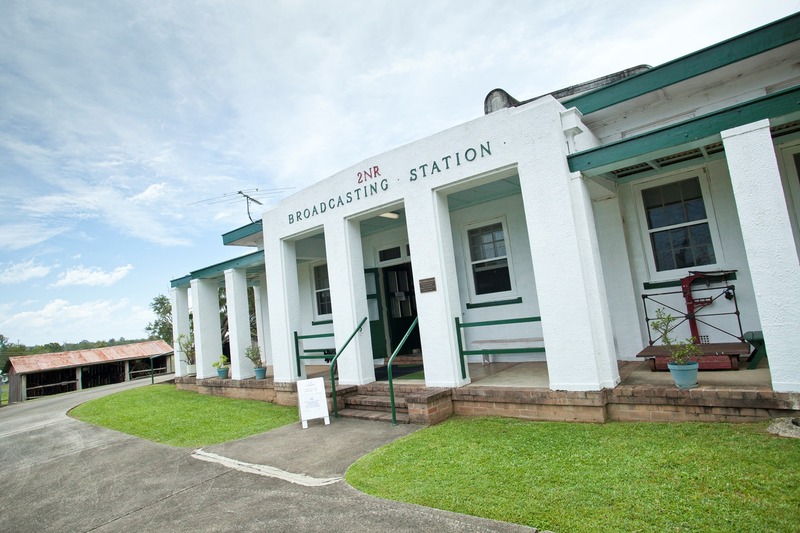 There was a customs house, court house, auctioneer, blacksmith, baker, butcher, saddler and numerous other businesses. 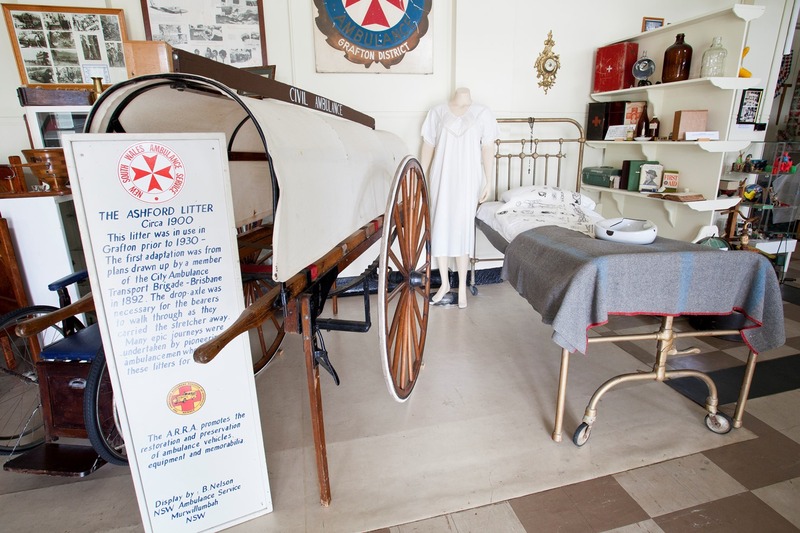 Highlights of the collection include: an old ‘dunny’ and very old tractor near the front gate, the original settlers cottage, a replica blacksmith’s shop with tools and equipment, the sulky shed complete with sulky and a hand-drawn ambulance. 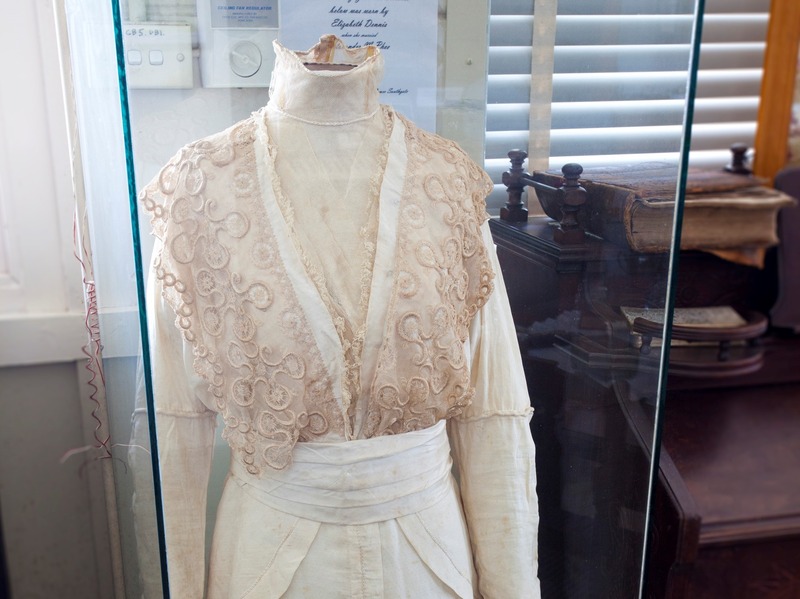 There is a wedding dress circa 1864, the court bench books from the Lawrence Court House and a very large collection of telephones, radios, photographs and publications.